Desktop plaque is made of resin with the look and feel of natural stone, featuring artistic panel with floral motif and Scripture reference. Easel-back; 4" square. 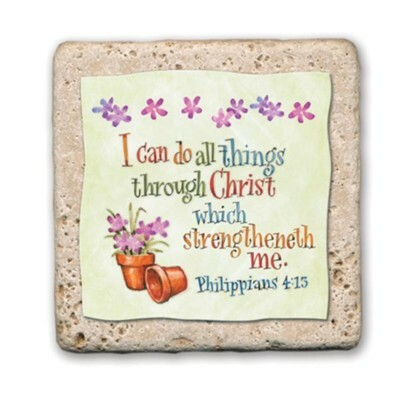 I'm the author/artist and I want to review I Can Do All Things Through Christ Sentiment Tile.